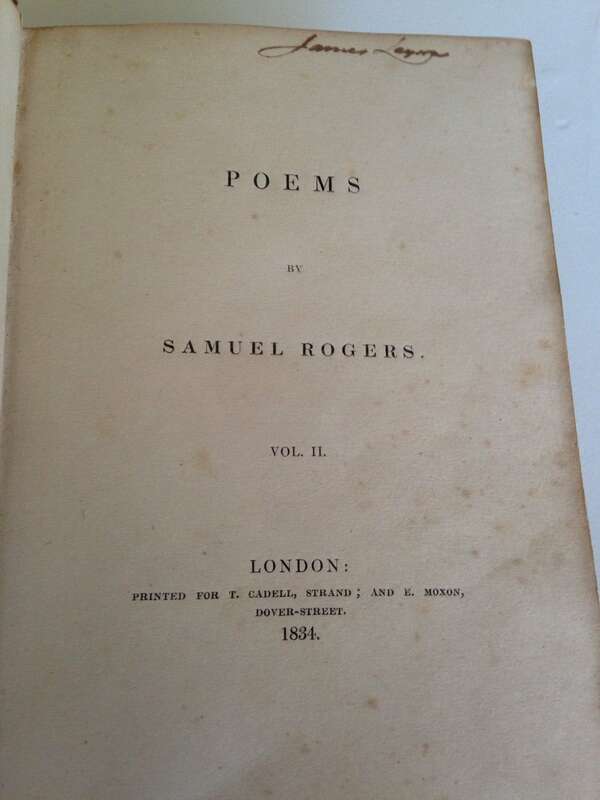 Offered here are to volumes of poetry by Samuel Rogers. London, for T. Cadell, Strand; and E. Moxon, Dover Street. Bradbury and Evans, Printers, Whitefriars. 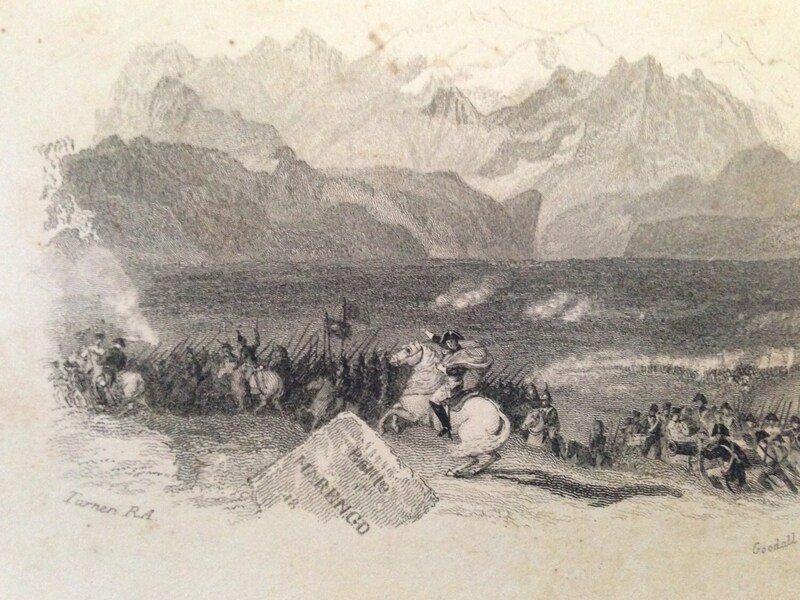 These medium-sized faded brown leather and extensively illustrated volumes are lovely on the shelf. Gilt lettering on sharp black labels and good quality bindings. 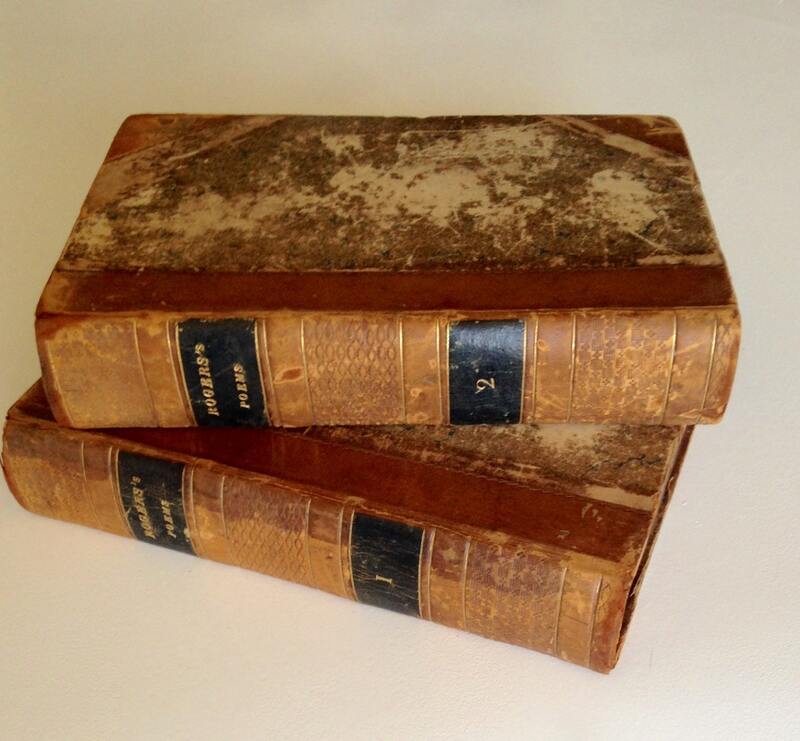 Books are over 1,000 pages combined (295 and 296 pages respectively). 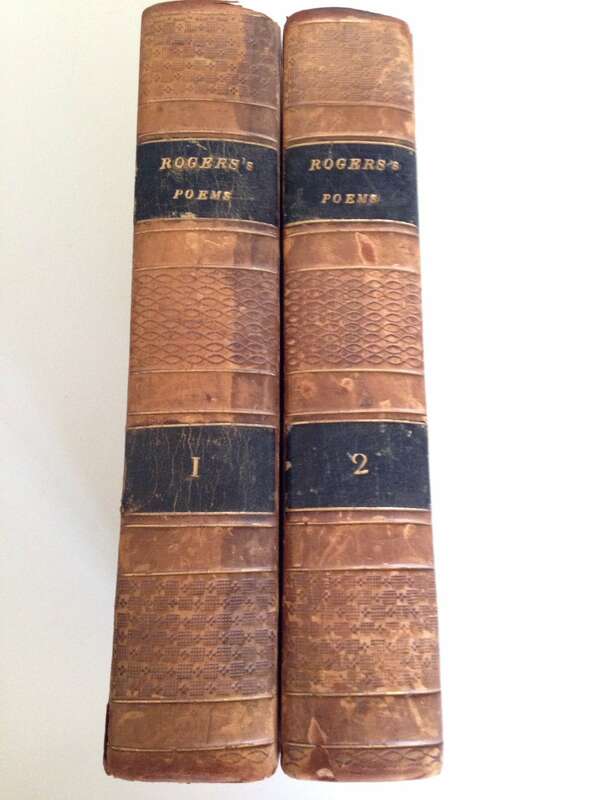 Condition is good save a missing title page to Volume I (Volume II does have a completed title page). 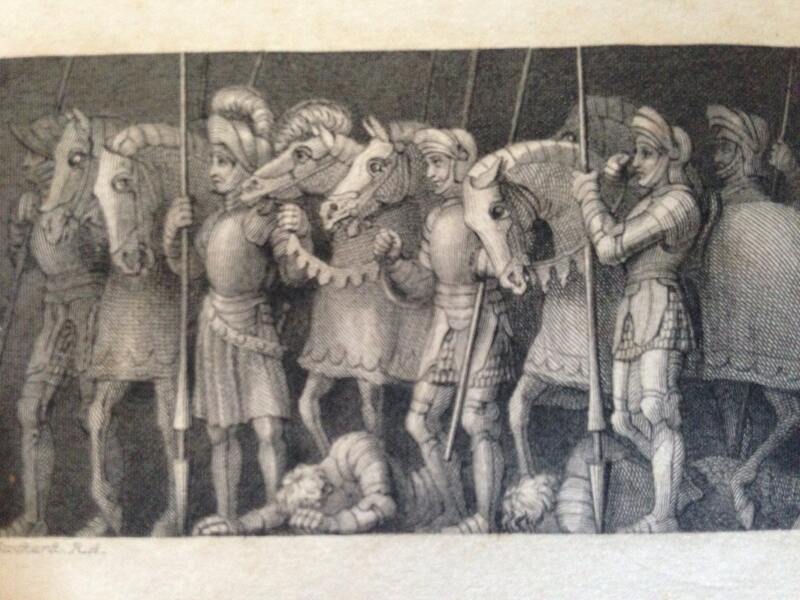 Books are packed full of etchings or illustrations-- dozens. Moderate to heavy scuffing and fading to outer covers as shown (especially at corners). No other major flaw or defect. Pages bright and clean with minimal foxing. A few minor penciled numbers etc.. Overall excellent for age and use. Additional photos available upon request.